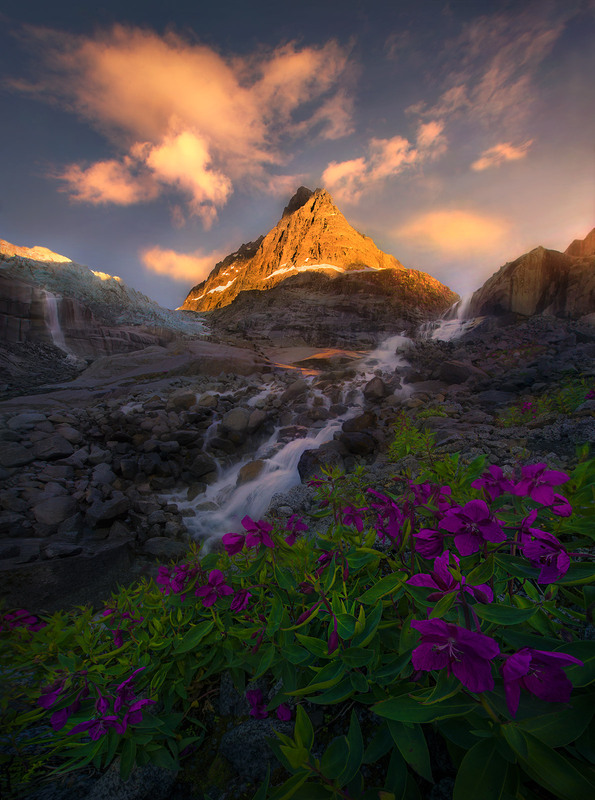 Lush summer wildflowers adorn the glacial hillside. Above, mountains reach into the sunset sky surrounded by high waterfalls on both sides. . Photo © copyright by Marc Adamus.